The next Scarlet’s Fund event will be at Cranlana, Toorak on 26 November 2016 and we’d love your support. 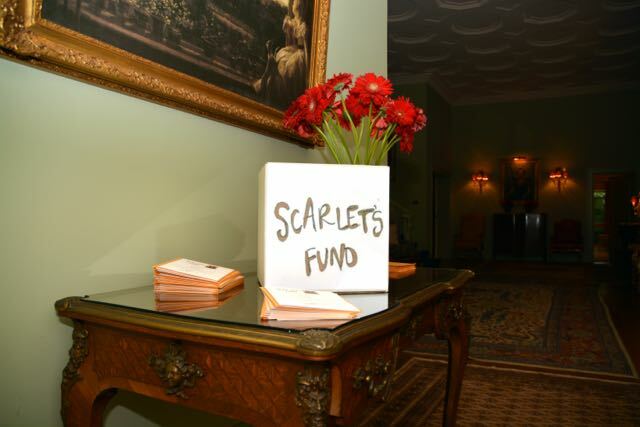 Two years ago we gathered at Cranlana, Sidney Myer’s home to launch Scarlet’s Fund. This year, thanks to the generous hospitality of Sally Lindsay, we invite guests to join us again for a night of music, wine and food to remember Scarlet and find out about the work of Scarlet’s Fund. We are especially excited to be exhibiting a suite of prints created and generously donated by 18 well known Australian print makers in response to WH Auden’s poem Musée des Beaux Arts (a favourite of Scarlet’s). These will be available for sale on the night. A set of these will be presented to the new ICU department of the Royal Melbourne Hospital who cared for Scarlet before she died. The Cranlana garden will be at its finest and the red carpet will be rolled out. The numbers for this event are limited. To secure your place, please contact us to receive a personal invitation.